Make yourself at home in one of the 22 air-conditioned rooms featuring minibars. Complimentary wireless Internet access is available to keep you connected. Bathrooms have showers and complimentary toiletries. When you stay at Hikkaduwa Beach Hotel in Hikkaduwa, you'll be on the beach, just steps from Hikkaduwa Beach and 4 minutes by foot from Hikkaduwa Coral Reef. This 4-star hotel is 1.5 mi (2.4 km) from Seenigama Temple and 5.9 mi (9.4 km) from Natural Moonstone Mine. Make yourself at home in one of the 6 air-conditioned rooms featuring refrigerators. Complimentary wireless Internet access is available to keep you connected. Bathrooms have showers and complimentary toiletries. Conveniences include ceiling fans, and housekeeping is provided daily. 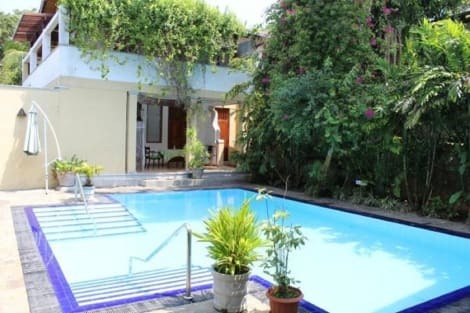 In the heart of Hikkaduwa, Sea Front Hikkaduwa is within a 5-minute drive of Hikkaduwa Beach and Hikkaduwa Coral Reef. This hotel is 2.5 mi (4 km) from Hikkaduwa National Park and 8.6 mi (13.9 km) from Ambalangoda Beach. Featured amenities include complimentary wired Internet access, express check-in, and a 24-hour front desk. A roundtrip airport shuttle is provided for a surcharge during limited hours, and free self parking is available onsite. Enjoy international cuisine at Mamas Coral Beach, a restaurant which features a bar, or stay in and take advantage of the room service (during limited hours). Breakfast is available daily from 7 AM to 11:30 AM for a fee. 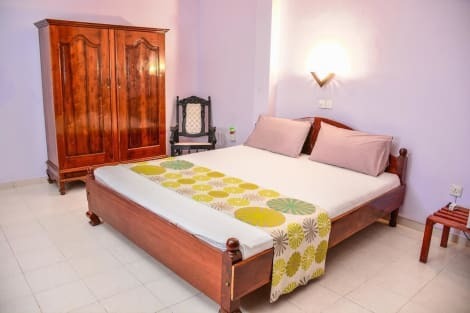 Boasting barbecue facilities, garden, terrace and free WiFi, Karma Guesthouse is set in Hikkaduwa, 1.4 km from Hikkaduwa Coral Reef. 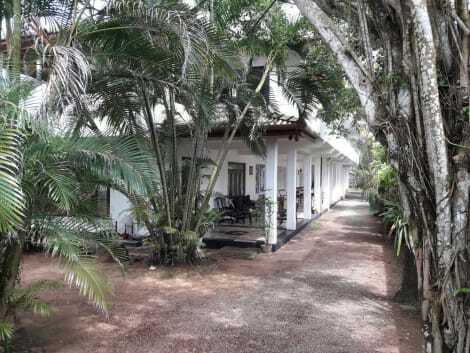 Located around 2 km from Hikkaduwa Bus Stand, the guest house is also 2.4 km away from Turtle Farm. Seenigama Temple is 4.2 km from the property. At the guest house, every room comes with a wardrobe. The private bathroom is equipped with a bath. The area is popular for cycling and hiking, in addition, bike hire and car hire are available at this guest house. Languages spoken at the 24-hour front desk include Danish and German. Telwatta Bird Sanctuary is 7 km from Karma Guesthouse. Enjoy seafood at REFRESH RESTAURANT, a beachfront restaurant which features an ocean view. You can also stay in and take advantage of the room service (during limited hours). Relax with your favorite drink at the bar/lounge or the poolside bar. Continental breakfasts are available daily from 7:30 AM to 11 AM for a fee. With a stay at Vista Sri Lanka Ayurveda in Hikkaduwa, you'll be just steps from Hikkaduwa Beach and 5 minutes by foot from Hikkaduwa Coral Reef. 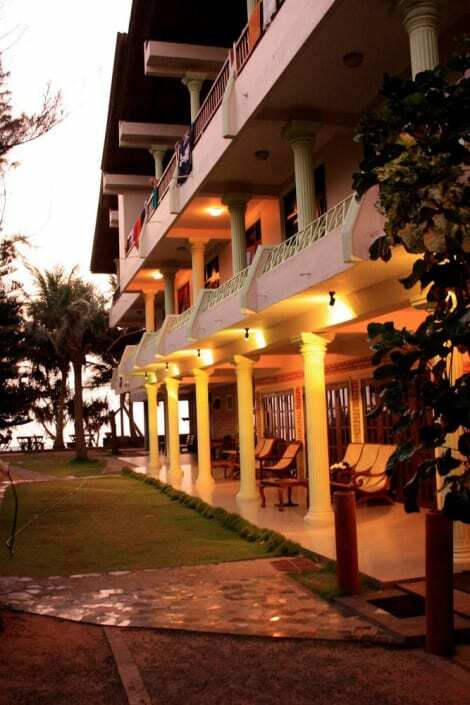 This hotel is 11.2 mi (18 km) from Galle Fort and 14.1 mi (22.7 km) from Jungle Beach. 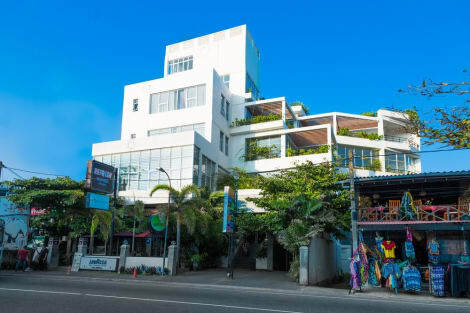 lastminute.com has a fantastic range of hotels in Galle, with everything from cheap hotels to luxurious five star accommodation available. We like to live up to our last minute name so remember you can book any one of our excellent Galle hotels up until midnight and stay the same night.